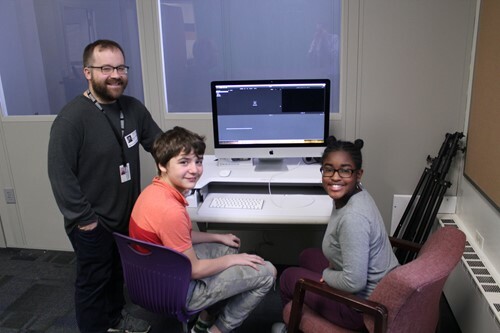 Members of the AV Club at Memorial Junior High had the special opportunity to participate in a training session provided by the Greater Cleveland Film Commission (GCFC) in the school’s Makerspace area on Friday, February 1, 2019. 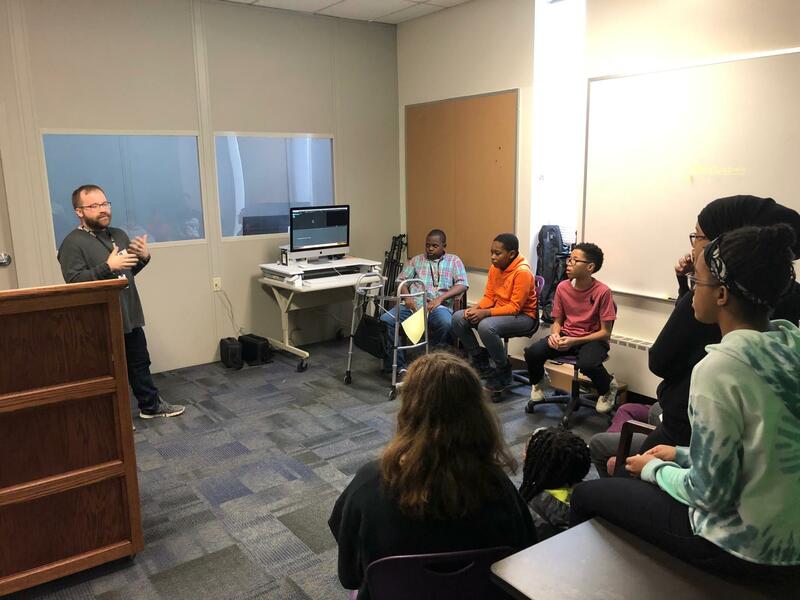 Mike Wendt, Production Coordinator for the GCFC, answered questions and provided expert tips on video editing and utilizing green screen technology to create various multi-media productions. During the tutorial, Mr. Wendt also shared about his experience working on several noteworthy motion-pictures filmed in Cleveland, including Captain America: The Winter Solider. The Greater Cleveland Film Commission is a non-profit organization which seeks to promote economic development and job creation in Northeast Ohio through support of the region’s media industry. Opened in the fall of 2018, Memorial’s Makerspace area is in the school library and features an assortment of state-of-the-art technologies, including 3-D printers, video-editing software and recording studio. The creative space provides students exciting learning opportunities across all content areas that promote inquiry and future-ready skills. Members of the Memorial AV Club greatly enjoyed the opportunity to interact with a media industry expert and look forward to demonstrating their increased understanding on future multi-media projects!